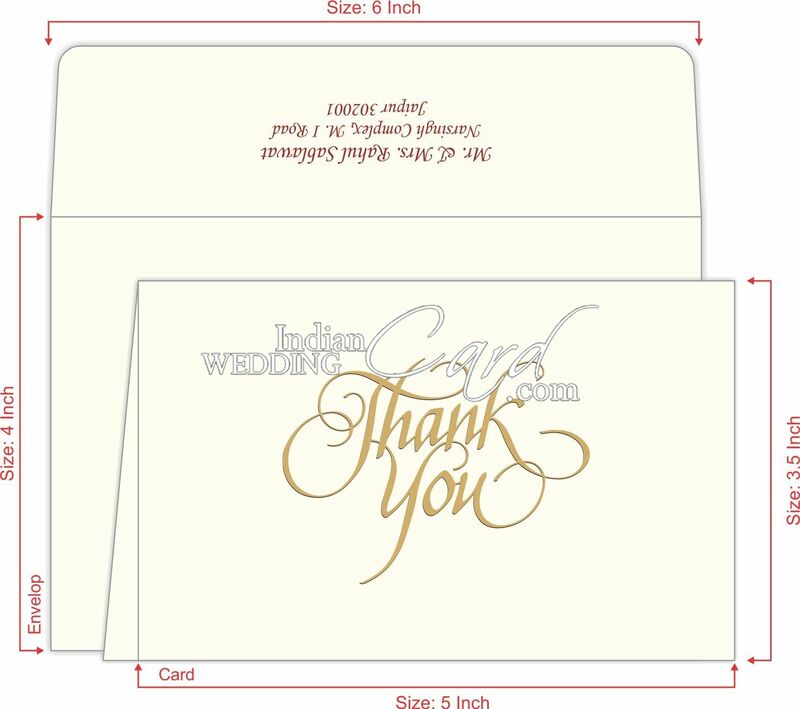 Large Thank you card with regular flap envelope. 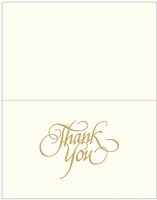 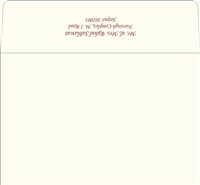 Thank you card is double folded with front printed with 'Thank You' logo and is embossed. 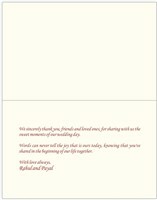 Inside can be customized, with text of your choice. 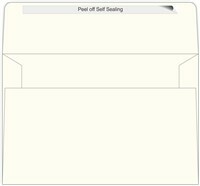 Envelope comes with return address and peel off self-sealing.